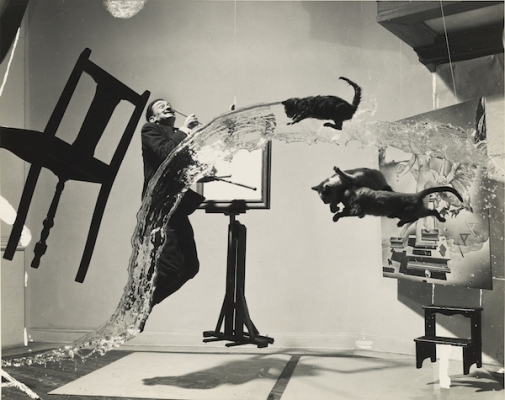 Dali Atomicus, 1948, Philippe Halsman. 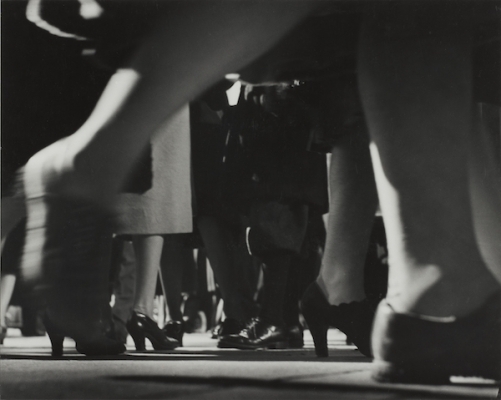 Running Legs, Forty-second Street, New York, 1940-1941, Lisette Model. Bananas and Orange, April 1927, Edward Weston. 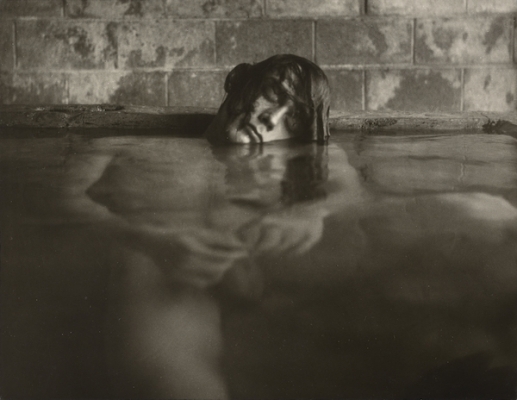 Mineral Baths, Big Sur, California, 1967, Edmund Teske. If Robert Mapplethorpe popularized photography as a fine art form, his longtime partner Samuel J. Wagstaff Jr. gave it legitimacy. The former curator of the Wadsworth Athenaeum and the Detroit Institute of Art, Wagstaff started seriously collecting photographs in the early 1970s, around the same time he and Mapplethorpe began a romantic relationship. The pair were a fixture on the downtown New York art scene, and their joint promotion of photography soon piqued the interest of major gallerists and critics. In just a decade, Wagstaff amassed one of the world’s most significant collections of photography. In 1984, the J. Paul Getty Museum acquired his more than 25,000 images as a founding pillar of their Department of Photography. Three years later, Wagstaff died from AIDS-related pneumonia. To accompany their major retrospective “Robert Mapplethorpe: The Perfect Medium,” the Getty is presenting “The Thrill of the Chase: The Wagstaff Collection of Photographs.” This three-gallery exhibition contains 101 works—both recognizable masterpieces and less well-known selections—that highlight Wagstaff’s passionate pursuit of fine art photography. 1. Dali Atomicus, 1948, Philippe Halsman. © Halsman Archive. Courtesy of J. Paul Getty Museum, Los Angeles. 2. 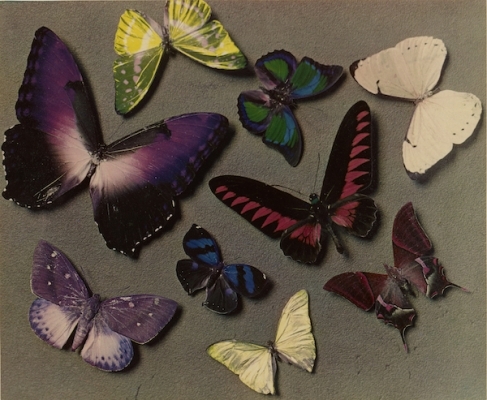 Butterflies, 1935, Man Ray, © Man Ray Trust ARS-ADAGP. Courtesy of J. Paul Getty Museum, Los Angeles. 3. Running Legs, Forty-second Street, New York, 1940-1941, Lisette Model. © Estate of Lisette Model, courtesy Baudoin Lebon/Keitelman. Courtesy of J. Paul Getty Museum, Los Angeles. 4. 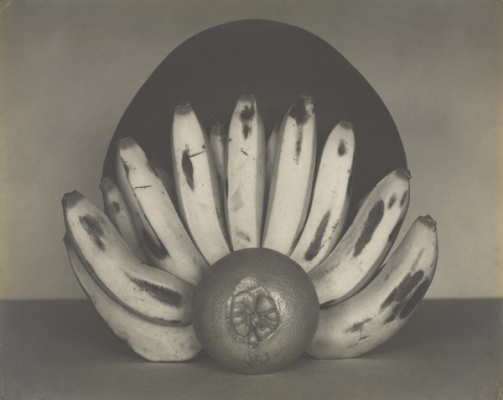 Bananas and Orange, April 1927, Edward Weston. © 1981 Arizona Board of Regents, Center for Creative Photography. Courtesy of J. Paul Getty Museum, Los Angeles. 5. Mineral Baths, Big Sur, California, 1967, Edmund Teske. © Edmund Teske Archives/Laurence Bump and Nils Vidstrand, 2001. Courtesy of J. Paul Getty Museum, Los Angeles. J. Paul Getty Museum, photography, robert mapplethorpe, Samuel J. Wagstaff Jr.